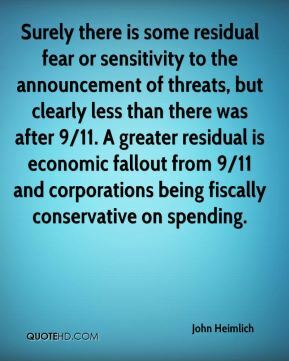 People had a knee-jerk reaction to groups of people. 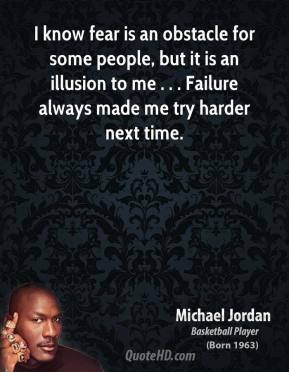 The more you understand something, the less you fear it. 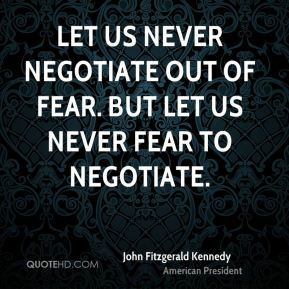 Women face fear differently. 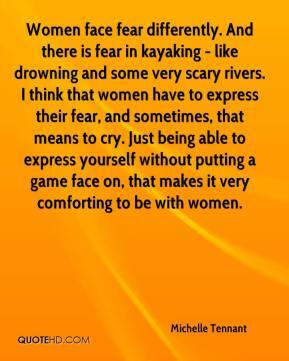 And there is fear in kayaking - like drowning and some very scary rivers. I think that women have to express their fear, and sometimes, that means to cry. Just being able to express yourself without putting a game face on, that makes it very comforting to be with women. 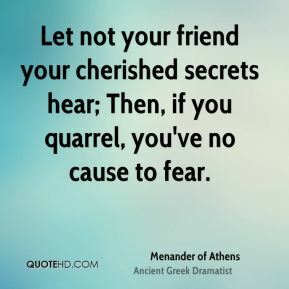 Let not your friend your cherished secrets hear; Then, if you quarrel, you've no cause to fear. 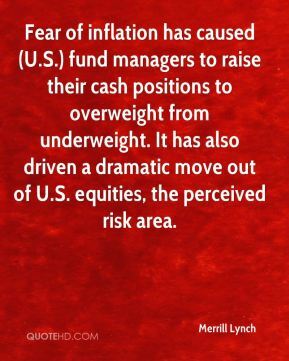 Fear of inflation has caused (U.S.) fund managers to raise their cash positions to overweight from underweight. It has also driven a dramatic move out of U.S. equities, the perceived risk area. 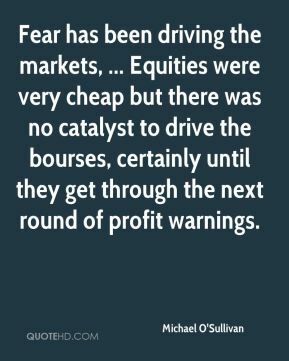 Fear has been driving the markets, ... Equities were very cheap but there was no catalyst to drive the bourses, certainly until they get through the next round of profit warnings. 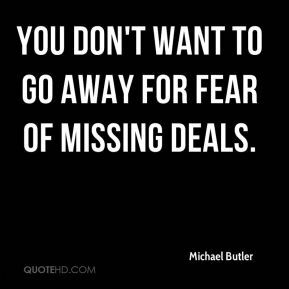 You don't want to go away for fear of missing deals. 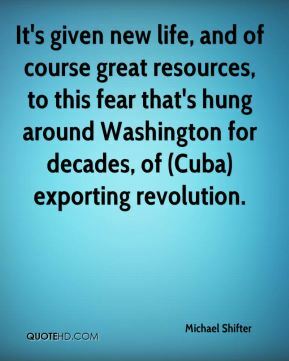 It's given new life, and of course great resources, to this fear that's hung around Washington for decades, of (Cuba) exporting revolution. 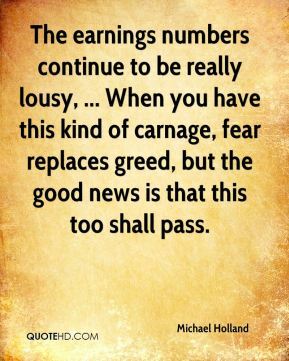 The earnings numbers continue to be really lousy, ... 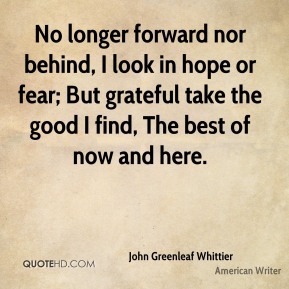 When you have this kind of carnage, fear replaces greed, but the good news is that this too shall pass. 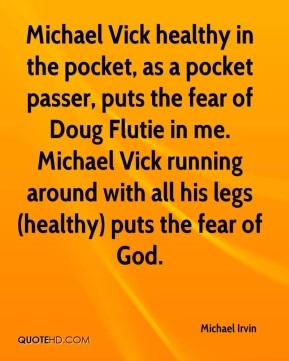 Michael Vick healthy in the pocket, as a pocket passer, puts the fear of Doug Flutie in me. Michael Vick running around with all his legs (healthy) puts the fear of God. 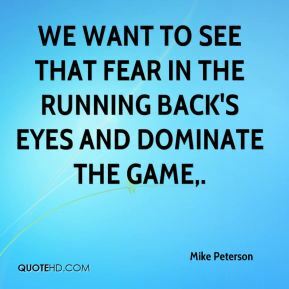 We want to see that fear in the running back's eyes and dominate the game. 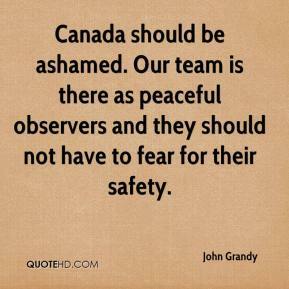 I think it will alleviate any fear we have of making the finals. I had that fear of the first five seconds, of it not working out, of not even unpacking your suitcase but going right back home. 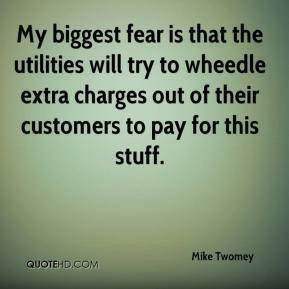 My biggest fear is that the utilities will try to wheedle extra charges out of their customers to pay for this stuff. 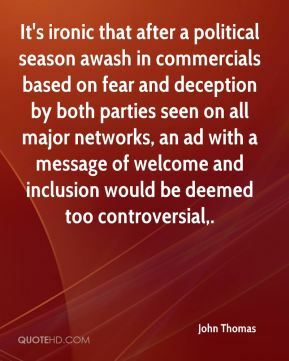 It's ironic that after a political season awash in commercials based on fear and deception by both parties seen on all major networks, an ad with a message of welcome and inclusion would be deemed too controversial. 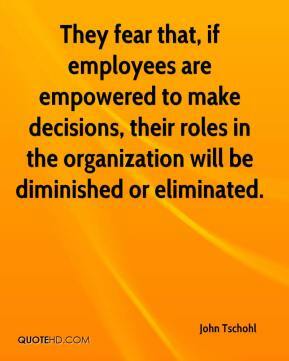 They fear that, if employees are empowered to make decisions, their roles in the organization will be diminished or eliminated. 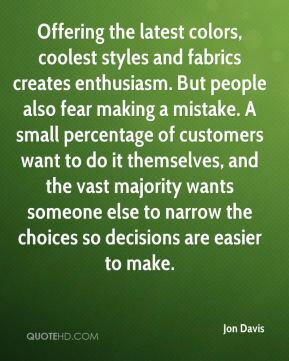 Making empowered decisions means taking risks. 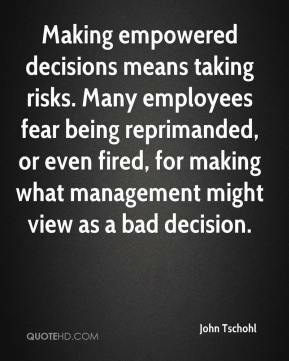 Many employees fear being reprimanded, or even fired, for making what management might view as a bad decision. 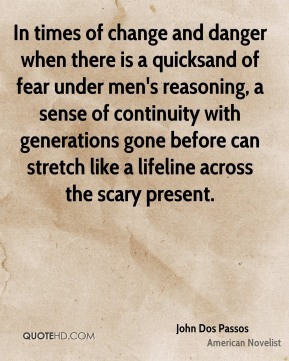 In times of change and danger when there is a quicksand of fear under men's reasoning, a sense of continuity with generations gone before can stretch like a lifeline across the scary present. 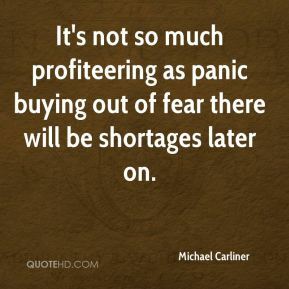 There is a lot of fear. 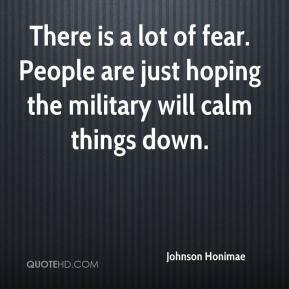 People are just hoping the military will calm things down.